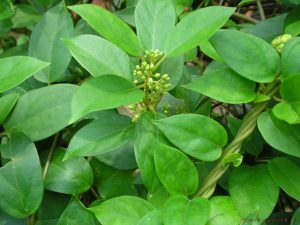 It is used for those suffering from diabetes, boosting insulin levels and controlling healthy blood sugar levels. Blocks and inhibits a large percentage of sugar absorption and has the ability of severing ones desire for sugar. When chewed, the fresh leaves paralyse the sense of taste for sweet and bitter substances for some time. Those on insulin or hypoglycemic drugs will need to monitor their levels more closely.